Black separatist extremists are individuals or groups that seek to establish an independent nation for people of African descent through force or violence. They claim superiority over whites, are typically anti-Semitic, and oppose integration and interracial marriage. The intent and capability of black separatist groups vary by chapter and region. At least two groups are active in New Jersey: the New Black Panther Party (NBPP) and the Israelite Church of God in Jesus Christ (ICGJC). The NBPP portrays itself as a militant modern expression of the original Black Panther Party; however, representatives of the original group have denounced the “exploitation of the party’s name and history” and have called the organization “a black racist hate group.” The ICGJC justifies its rhetoric with religious ideology and believes its members are the true Hebrew descendants. NBPP and ICGJC promote violent and hate-based rhetoric against law enforcement, government officials, Jews, and whites. 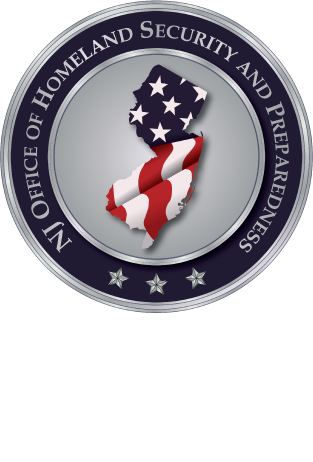 Black separatist extremist organizations in New Jersey are disorganized and continue to focus on activities related to narcotics, illegal weapons, and financial crimes. Over the past several years, authorities in New Jersey have focused on disrupting these criminal activities. On March 20, two ICGJC leaders each pleaded guilty to one count of conspiracy to defraud the United States after they used millions of dollars of the church’s money to fund the leader’s personal expenses and never reported them on his personal tax forms. In November 2016, the FBI served a search warrant related to “financial irregularities” at the ICGJC’s headquarters in New York. The leader of the ICGJC is a New Jersey resident and oversees churches in at least 10 states. Black separatist extremists did not conduct any attacks in 2018. Four black separatist extremists conducted attacks, killing eight and injuring nine, in 2017. In September 2017, Emanuel Samson shot and killed one and injured six at a church in Antioch, Tennessee. Authorities found a handwritten note inside his vehicle that referenced seeking revenge for a white supremacist attack in 2015 on a black church in Charleston, South Carolina. Samson’s Facebook page revealed links to black separatist groups, including the NBPP. Everett Miller ambushed and killed two police officers responding to a call for service in Kissimmee, Florida, in August 2017. On his Facebook page, Miller discussed anger at police, racism in the United States, and the white supremacist protest in Charlottesville, Virginia. In May 2017, Derick Brown, the former leader of the Dallas NBPP chapter, killed his roommate, injured his neighbor, and shot at first responders in Dallas, Texas. The FBI stated Brown was the subject of an open investigation. Additionally, Brown had links to other black separatist extremist groups. Kori Ali Muhammad killed four people over six days in Fresno, California, in April 2017. Muhammad believed he was contributing to the ongoing war between white and black men, according to his father.